Personal Information: Married to my wife Georgi since 2001. Have a 13 year old son, Josh. Interests: Road Running, American Football (and the Dallas Cowboys), learning and improving my ElliptiGO Riding and knowledge. Sporting Background: Running is my main love and I have run all distances from a 5K parkrun right up to the Marathon distance. I have been a very competitive road runner since the late 90’s and competed in over 50 Marathons throughout the world, with a PB of 2 hrs 36 mins. I also enjoy general fitness, especially TRX Suspension Training. Why I’m doing PBP 2015: After many years of competitive running the wear and tear on the body have kicked in and I would like to try something different. Having had a small taste of this fantastic Elliptical Cycling Community and followed some of the ‘daft’ things they have already achieved in long-distance cycling, I wanted to experience this first-hand (and this fantastic challenge, with a great group of people, will be a great way to have FUN)!!! Something most people don’t know about me: I am a qualified Level 2 UK Athletics Endurance Coach and a TRX Instructor. Other: My UK Athletics Results & Rankings and my Runbritain Grand Prix Rankings. MONDAY: Running – SRC Session (ElliptiGO to & from SRC – 6 miles each way will look to round up to 20 miles return) run is steady/recovery pace about 5-6 miles. TUESDAY: Running – Ackworth Club run, usually up to about 8-10 miles. 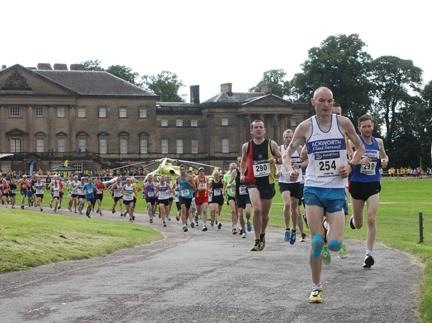 THURSDAY: Running – Ackworth Club run, usually a training session of hills / fartlek training. SATURDAY: Running – parkrun, the weekly 5K speed run! ElliptiGO ride before and after parkrun (I will look to get a 60-90 min ride before the parkrun and another 60 min after). 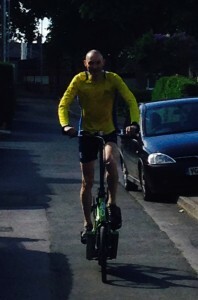 SUNDAY: ElliptiGO – Long Ride. For Running Training in General: I will have various road races and cross country events throughout the build up to PBP 2015. If racing on a Sunday I’ll substitute my ElliptiGO long ride from Sunday to Friday – or if just a short race, I may look at working in a recovery ride afterwards.